A few weeks ago I noticed some pins on Pinterest about FunBites. I had never heard of the nifty little contraption and went right over to their website. I was immediately drawn to it as an occupational therapist, I’ll elaborate more on that in a minute. So I sent off an email asking if I could review one, within a week I had my own square FunBites (my admission that I did receive it free for this post)! I haven’t been disappointed. FunBites has two parts, the first being the slicer that rocks back and forth to actually cut the food. The second part is an insert that helps to push any stuck pieces out of the cavity. Click here for a video demo. By the way, it is easy to clean, is BPA free, goes right into the dishwasher, and cuts through a variety of textures. We have used ours on apple, watermelon, meat, and cheese. Please note that this post does contain affiliate links to FunBites, see the coupon code at the end. 1. 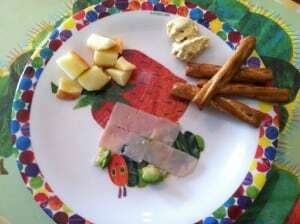 You can make the shapes into larger pictures that may engage your child with the food in a new way. For instance, my kids are obsessed with cars and trucks, so I made a little tractor trailer our of the square turkey shapes, this took all of 5 seconds. I choose turkey because it is something my 2 year old typically refuses. I used little bits of avocado for the wheels, keeping it really simple. I have seen some amazing examples of pictures and scenes you can create with a little more time. Personally, I don’t really have time for that and I think that keeping it simple makes it more likely that you will do it! Kids still think it is pretty cool even if it isn’t very elaborate. However, if you enjoy it and have a few extra minutes, go for it. I would encourage you to get your kids involved with the process too! 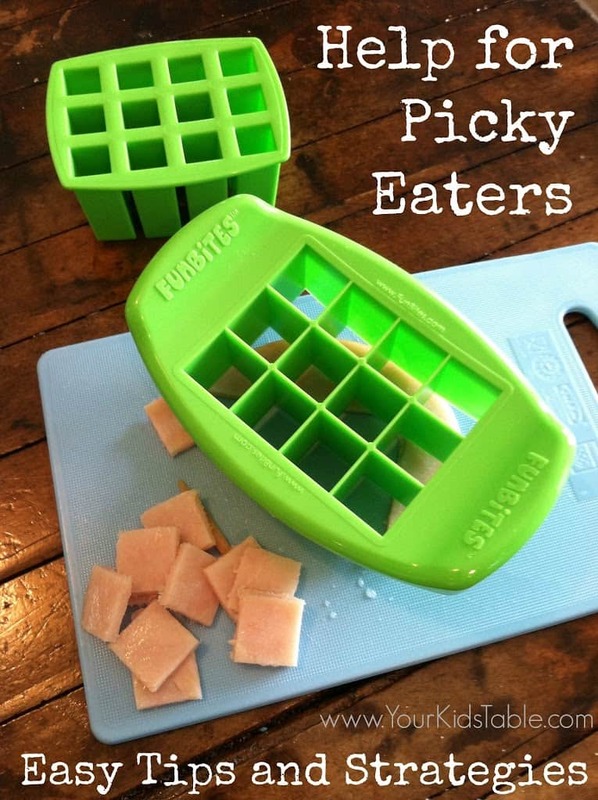 Let them cut the shapes out with the FunBites cutter, it is so easy to use and contains no sharp blades. They can also make their own design or picture. Maybe they will try something new while working with the food when the pressure is off! 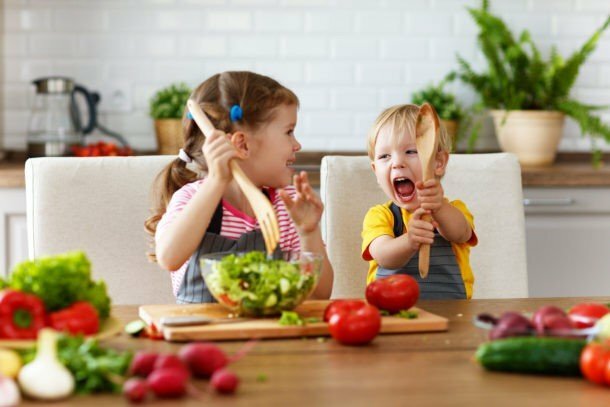 Cooking with your kids is truly a powerful tool to get them trying new foods. 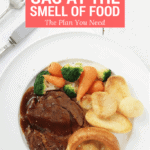 If you are looking for more specifics on cooking with your kids click here, here, and here. 2. 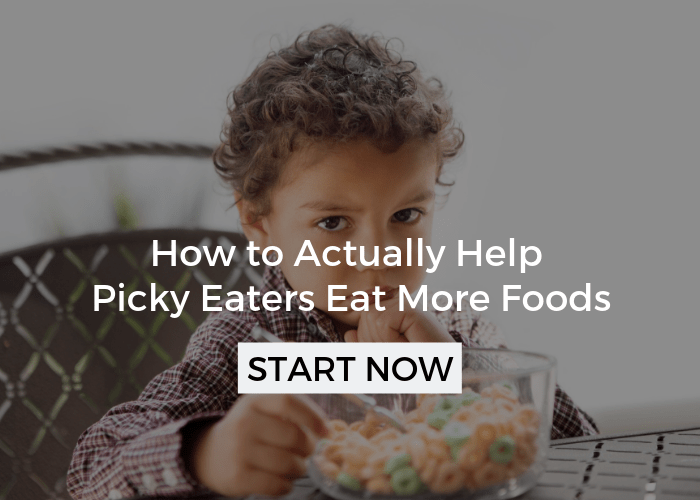 Kids that are “picky” and more importantly for those that are problem feeders (severe picky eaters) having an even consistent shape is really important. 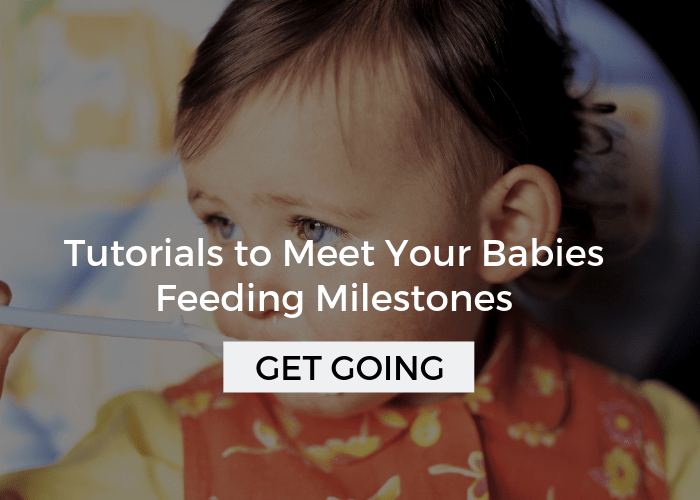 Plus, large pieces of food can seem overwhelming, the smaller, fun shapes are anything but intimidating. 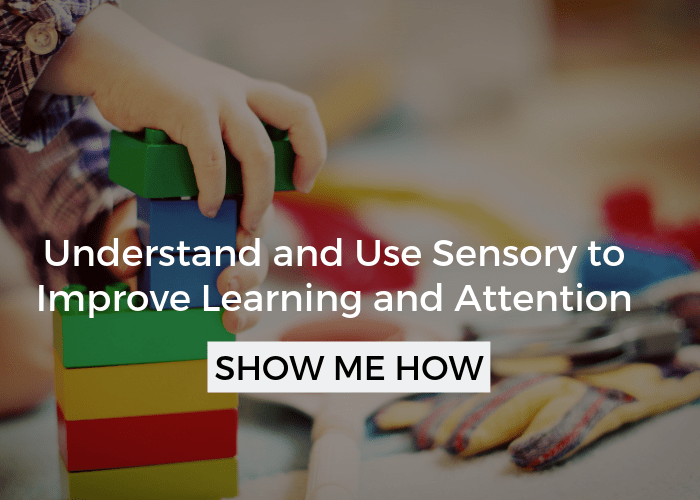 Kids can become selective about their eating for a variety of reasons, two of the most common (sensory processing and oral motor skills) are helped by eating food that is cube shaped. 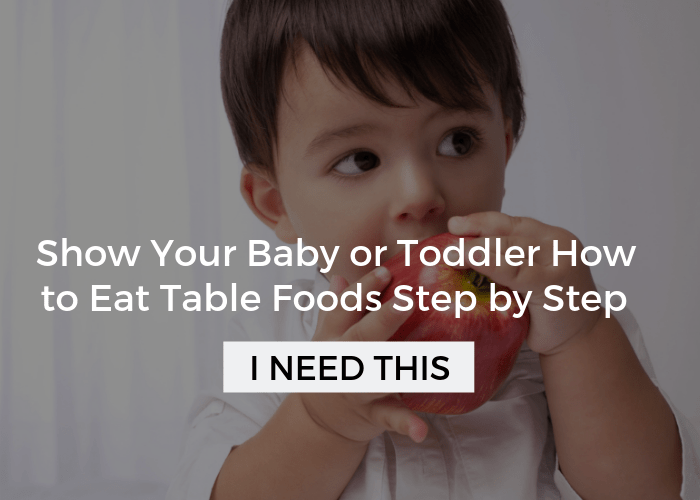 (Check out my post on Why Kids Don’t Eat, for more details.) It is common practice for feeding therapists to present food in this way because a child, even if they are older, are able to manage it better. When they know they can manipulate and chew the food successfully they are willing to eat more, and that is the goal! I didn’t get the chance to try it yet, but I love the idea of making whole sandwiches and cutting it up as well. Many kids as toddlers and preschoolers pull apart their sandwiches, but FunBites smooshes everything together to make a compact little bite. 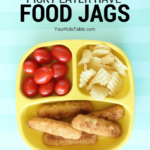 This is helpful for picky eaters because a piece of tomato isn’t sliding off that they will ultimately pull out and not eat. 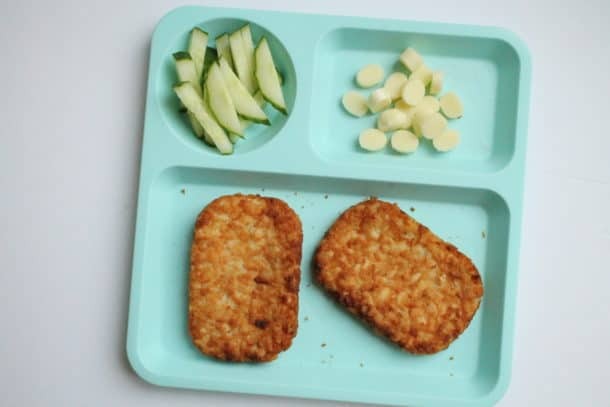 Your kid may be willing to experiment with eating something new because the taste or texture won’t be too overwhelming in the compressed squares. I am not promising that one time using FunBites is going to solve all your picky eater woes, but it is a helpful tool. I am happy to have one to share with the families I work with, and will recommend it in the future. FunBites is also available in triangles and hearts. 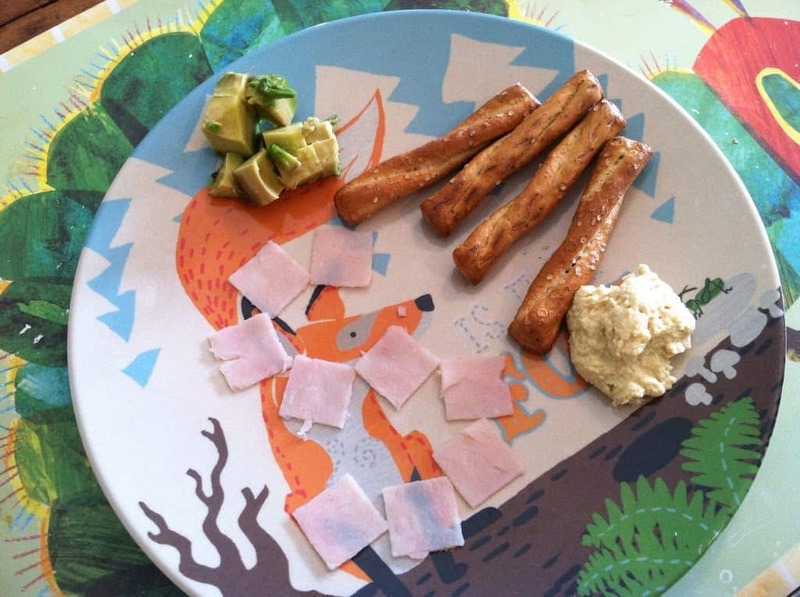 Right now you can save 20% off your entire order at FunBites with the coupon code yourkidstable. 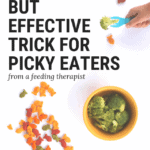 If you are feeling overwhelmed with your picky eater or transitioning your kid to table foods, check out the article index, there are many articles that cover both topics. 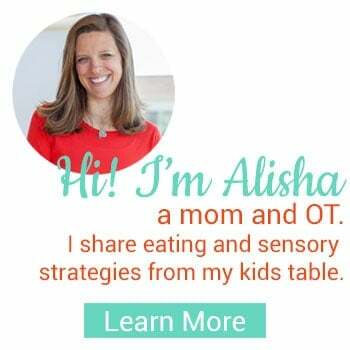 I am also available via phone, skype, or facetime for private consultations concerning a large variety of feeding concerns. Click here for more info!